Looking at food labels and comparing food labels is smart shopping. Food labels can help a person know the nutritional value of food. But food labels haven't been required for meat...until now that is. As of March 1, 2012, nutrition labeling for meats are mandatory. This is great news for us label readers! Before now, the USDA required nutrition labels only on meat and poultry with added ingredients, such as marinade or stuffing. Now, the new law affects all ground meat and poultry and 40 of the most popular cuts of meat, whether they have added ingredients or not. So chicken breasts, steaks, pork chops and roasts, for example, must have a Nutrition Facts Label stuck to its package or have the nutrition information posted on a sign near the point of sale. You'll finally be able to compare calories, fat, saturated fat, cholesterol, sodium and more in meat. In addition, if the product shows the percentage of lean meat, such as "80% lean", it must also say that it is "20% fat". While red meat tends to be higher in saturated fat, you'll now be able to see for yourself that it's not always the case. For example, a 3 ounce skinless chicken thigh actually has more saturated fat and total fat than a 3 ounce top round steak. On the other hand, the same portion size of a skinless chicken breast has less saturated fat and total fat of the top round steak. Comparing these labels will really help us choose the best choice. You'll find that when it comes to red meat, those cuts that include the word round are the lowest in fat, with loin being a close second. In poultry, dark meat has more fat than white meat. 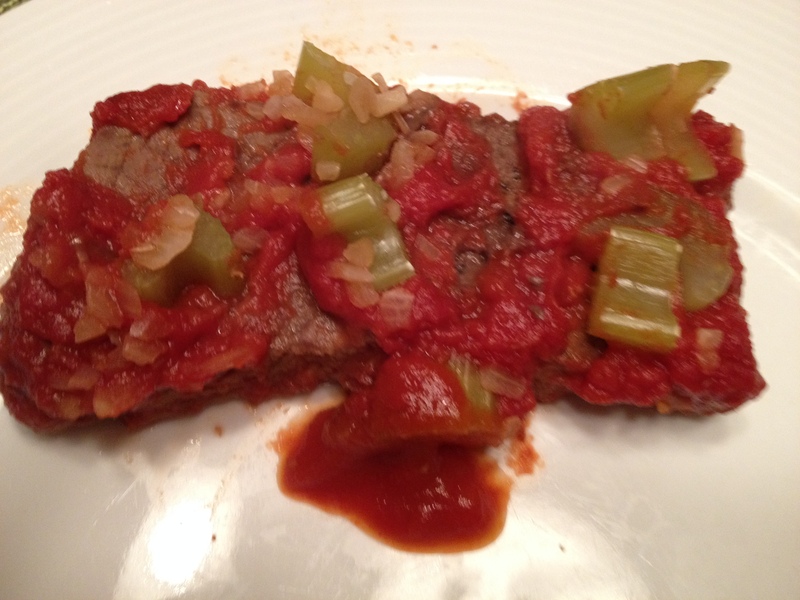 Try this version of Swiss steak. If you have some "choosy" eaters at home, prepare theirs without the tomato mushroom sauce. They can choose to add it on top later if they'd like. Preheat oven to 350F. Trim all visible fat from the meat. Cut into serving pieces. Pound steak with meat tend tenderizer until 1/4-inch thick. Heat oil in large skillet. On medium high heat, brown both sides of steak, about 2 minutes per side. Spray baking dish with non-stick cooking spray. Place steak in baking dish. Pour on tomato sauce. Sprinkle on onion flakes and celery. Add mushrooms and mushroom liquid. Top with parsley flakes. Bake covered with foil for 1 hour or until steak is tender.